Multiple-unit train control, often abbreviated to multiple-unit or MU, is a method of simultaneously controlling all the traction equipment in a train from a single location, whether it is a multiple unit comprising a number of self-powered passenger cars or a set of locomotives. A set of vehicles under multiple unit control is referred to as a consist in North America. 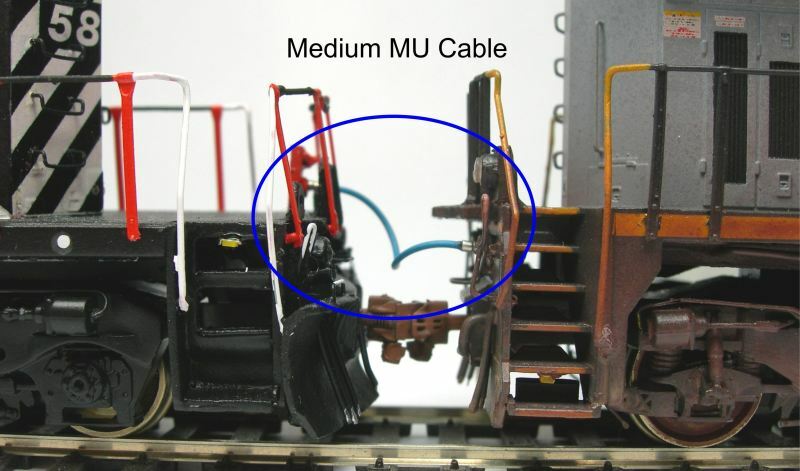 The new North American Railcar Coporation HO Scale MagnaLock MU Cables add even more realism to model locomotives. The MagnaLock MU Cables are designed to be used with our MagnaLock Brake Lines, 11-AIR-10HJ-run2 or 11-MU-SR-H, but can be used by themselves. The difference between the two sets of brake lines is the first package includes an alignment jig. We recommend modelers get at least one starter kit with the alignment jig for easier instilation of the MagnaLock Brake Lines. The starter kit contains ten pairs of MagnaLock Grake Lines, enough to convert ten pieces of rolling stock, or ten locomotives. 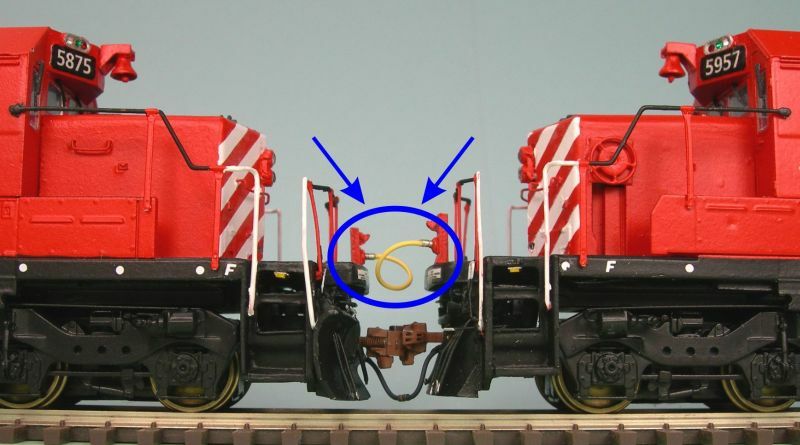 Additional add on kits include ten pairs of MangaLock Brake Lines and can be used with the gluing jig from the starter set to upgrade ten more pieces of rolling stock or locomotives. For example, if a modeler purchases one MagnaLock Brake Line Starter Kit and one MagnaLock MU Cable Kit, they will be able to upgrade 5 pairs of locomotives with MagnaLock Brake Lines & MU Cables.